I’ve done one of these posts before, about a year ago actually. If you want to have a look at what products I was previously using on my brows you can look here. I have quite ‘bushy’ eyebrows that are pretty dark, but these products seem to really work with the shape and colour of my brows. I’ve never tried a pomade before, but I was intregued by the Anastasia offering but wasn’t willing to spend that much money on it. So when I saw this from NYX I knew I had to give it a go. I opted for the shade ‘Espresso’ which is the second to darkest shade, its basically a deep brown shade. I use this with my angled RT brush and just apply a small amount along the lengths of my brows. This works so well and I love how natural it keeps your brows looking! It fills in any sparse areas well and just gives your brows a bolder look. Would highly recommend this for the price it is! I’ve been using this brow gel for quite a while now and have really been enjoying it. I have this in the shade medium/dark but it also comes in light/medium and transparent. When I want a more natural look or I’m in a hurry I’ll use this on its own, as it tames your brows but gives them a really lovely tint. This works well on top of the NYX pomade as well to just set the brows into place. Unlike other brow gels I’ve tried this doesn’t make your eyebrows crispy, bonus! 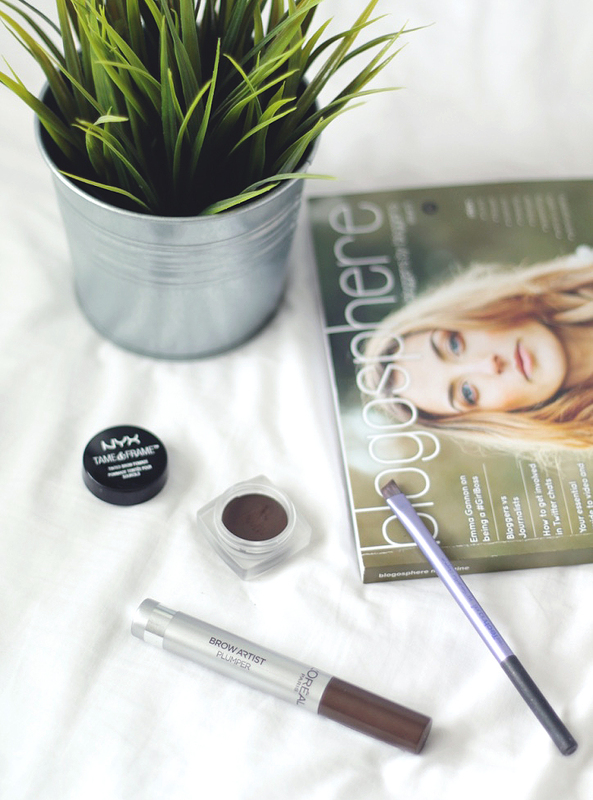 I’d really recommend this if you’re looking out for a good budget tinted brow gel!